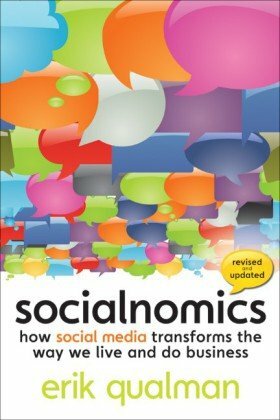 Praise for Socialnomics "It's obvious that Erik Qualman's passion is social media." -Dan Heath, New York Times bestselling coauthor of Made to Stick and Switch "People are hot for social media ...Erik Qualman says it's about listening first, then selling." -Forbes "Erik Qualman has been doing his homework on the social media phenomenon." -The Huffington Post "This is a must-read for anyone trying to leverage the social graph rather than be squashed by it." -Steve Kaufer, CEO, TripAdvisor "You learn a lot about someone from how they treat their moms. Erik is a trustworthy guy." -Chris Brogan, New York Times bestselling author of Trust Agents and Social Media 101 "Qualman is to social media what Demming is to quality and Drucker to management." -Scott Galloway, Professor, Stern School of Business, NYU The newly revised and updated guide to the social media revolution! Welcome to the world of Socialnomics-where consumers and the societies they create online have profound effects on our economy and the businesses that operate within it. Online word of mouth, social search, social commerce, and the influence of peer groups are making traditional marketing strategies obsolete. As a result, we no longer have a choice on whether we do social media; the question is how well we do it. Join Erik Qualman in Socialnomics for a fascinating look at the business implications of social media, and tap its considerable power to increase sales, cut marketing costs, and communicate directly with consumers.